We all know the most important features of a durable shelter are the ones we cannot see. And in higher education, there are lesser known but key regulations designed to protect students and taxpayers from wasting their time and money on bad programs. 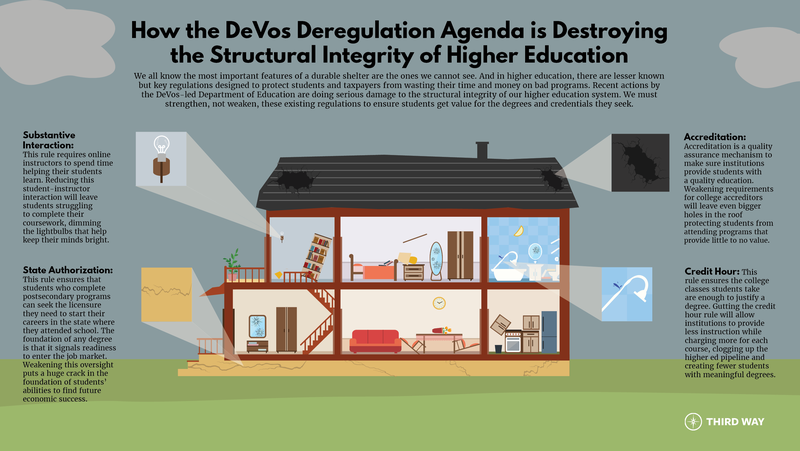 Recent actions by the DeVos-led Department of Education are doing serious damage to the structural integrity of our higher education system. We must strengthen, not weaken, these existing regulations to ensure students get value for the degrees and credentials they seek.